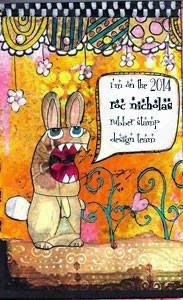 As a design team member for Roc Nicholas Rubber Stamps, I'm featured today on Roc Nicholas' blog. Check it out to learn a bit about my art journey. And have a fabulous Friday! so nice to get to know more about you, Cathy!